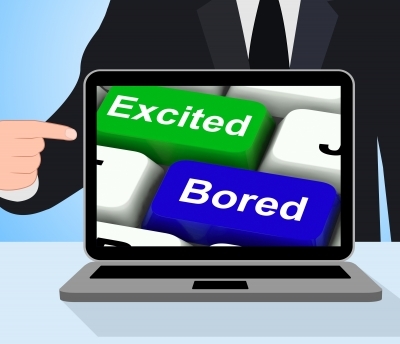 Writing What You Know: A Clever Way to Get Your Point across, or an Exercise in Boredom? What are the first two things you learn in writing class (or on writing blogs other than mine)? We’re going to dispense with “Show, don’t tell,” for now, but those of you who want to learn more about it are invited to see my previous blog post on it, here. Now that I have your attention, let’s talk about that other old writing bromide, “Write what you know.” Even I used to give this advice to aspiring writers. Is writing what you know really such a bad thing? On the one hand, writing what we know gives us automatic context within which to write. In general, our prose will sound much more authentic than if we were to write, say, about Marc Antony’s stable boy. On the other hand, constantly and exclusively writing what we know runs the danger of getting incredibly boring, both for us and for our audience. There are, however, numerous outstanding authors who are able to write over and over again about what they’re familiar with, and their tales are always interesting and fresh. I’d like to explore two of them, whose works are separated by a century, who use their talents and their experiences to deliver masterful writing and more. How are they able to write about the “same old, same old” and still be phenomenally successful? [The wind] blew day after day: it blew with spite, without interval, without mercy, without rest. The world was nothing but an immensity of great foaming waves rushing at us, under a sky low enough to touch with the hand and dirty like a smoked ceiling….Day after day and night after night there was nothing round the ship but the howl of the wind, the tumult of the sea, the noise of water pouring over her deck….The sea was white like a sheet of foam, like a caldron of boiling milk….There was for us no sky, there were for us no stars, no sun, no universe – nothing but angry clouds and an infuriated sea. I don’t know about you, but I’m exhausted. I can feel the violent rocking of the sea and the unrelenting wind and seawater attacking the sailors. O youth! The strength of it, the faith of it, the imagination of it! To me [the boat] was not an old rattle-trap carting about the world a lot of coal for a freight – to me she was the endeavour, the test, the trial of life. I think of her with pleasure, with affection, with regret – as you would think of someone dead you have loved. I shall never forget her. Conrad reintroduces us to Marlow in what is perhaps his most famous short story, “Heart of Darkness.” You could rename it “Adulthood.” With brilliant and sometimes gruesome description, Conrad explores the themes of power, corruption, evil, and inhumanity via a much older Marlow. “Heart of Darkness” is set in the Congo Free State, the colony set up by Belgian King Leopold II for the purpose of exploiting a large part of central Africa’s natural resources in the late nineteenth century. 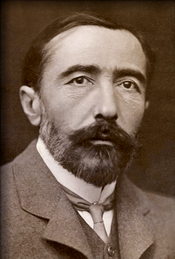 Conrad had spent time there, and was therefore able to produce a work as authentic as it was grisly. His short story helped publicize the atrocities that were being committed by the officials in charge of the colony, and as a result a movement was founded to stop the slavery, genocide, and murder taking place. Another master of writing what he knows is Khaled Hosseini of The Kite Runner fame. I’ve read all three of his books, and they are magnificent. Think one book about Afghanistan and its recent implosion(s) is enough? Each of Hosseini’s books focuses on different types of people and characters, and each tells the story of Afghanistan from different and multi perspectives. Hosseini himself grew up in Afghanistan, and thus his descriptions of that beleaguered country are realistic and authoritative. He uses Afghan cultural norms, nationalities, and religious practices to tell his tales. Late-twentieth-century Afghanistan, from Kabul to remote villages, is the perfect backdrop for Hosseini to explore family, friendship, loyalty, the burden of guilt, the gray area between good and evil, and the question of winning at the expense of someone else’s losing. 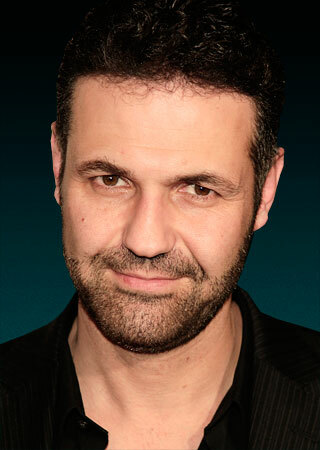 As a result of his novels, which raised awareness of the plight of Afghan refugees, Hosseini became Goodwill Envoy to UNHCR, the United Nations Refugee Agency, as well as created his own organization, the Khaled Hosseini Foundation, to provide humanitarian assistance to the people of Afghanistan. Their knowledge is used as a backdrop to examine the meta issues common to all of humanity. They use what they know as a jumping-off point to employ picturesque description, stunning metaphors, and other literary devices. Their authoritative knowledge sets them up as the experts on whatever subject, theme, or setting their writing represents. Their knowledge can lead to their becoming instruments of social change. I hope you will consider the benefits of writing from within your own special world. Let me know in the comments what you think. And please send me any other insights you have discovered about the two authors whose work we examined, or about any author who writes what he or she knows. Your observations will help everyone in our tribe!